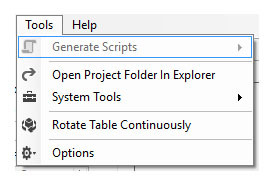 This will open a Windows form to present the folders and files of the current project you are working. Makes it easy to find your work. This function seeks out your camera, provided it's USB is plugged in. NOTE: Normally the software will do this automatically. 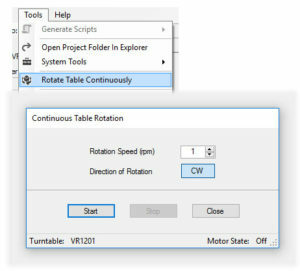 If you suspect the table is not turning correctly, try this or shut down the software and start over. Return Table to Zero: Same as Reset Turntable. For use with PAMCO-IMAGING photography turntables.